More than a century of expertise in optical design and construction are the basis upon which Leica Camera AG (Wetzlar) has created a new and revolutionary generation of Leica binoculars: the Leica NOCTIVID family. These high-end binoculars represent a revolution in the field of viewing optics and offer discerning bird-watchers and wildlife and outdoor enthusiasts previously unimagined quality. The Leica NOCTIVID glasses are compact in size, stylish, and elegant, but nevertheless unbelievably robust and resilient. Ideal for every walk of life, the new Leica NOCTIVID binoculars set standards alone with their design. The optical and mechanical systems of the new Leica NOCTIVID family of binoculars unite the best of the latest and most innovative technologies to create a new pinnacle of excellence. 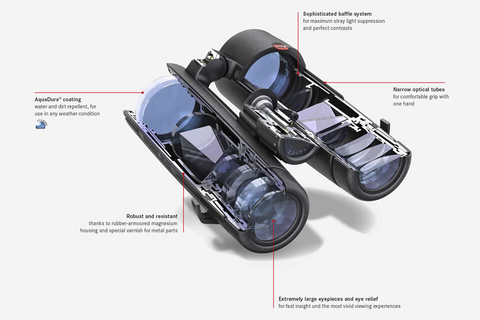 The optical engineers have integrated no less than 12 glass elements in the new Leica NOCTIVID binoculars to achieve a viewing excellence that fulfills even the most stringent demands. SCHOTT HT™ (High Transmission) glasses ensure amazingly brilliant colours. The Leica NOCTIVID binoculars take advantage of a new high-temperature plasma deposition process for highest-quality lens coatings that guarantee perfectly balanced transmission characteristics throughout the entire wavelength range of visible light, which results in a breathtakingly bright and color-neutral viewing image. Innovative baffle systems for the suppression of stray light guarantee optimum reduction of reflections and maximum contrast. The modification of the radii of the lenses made it possible to achieve a further improvement of sharpness right up to the extreme edges of the viewing image. Innovative AquaDura® coating, a Leica development, ensures a crystal-clear view in all weathers and protects the lenses against scratching and abrasion. Thanks to this special coating, dirt and finger marks can be effortlessly wiped away. The perfect harmonization of all optical and mechanical innovations in the binoculars leads to an incomparably three-dimensional viewing experience. The engineers also paid particular attention to compact dimensions and mechanical excellence in the design and construction of the Leica NOCTIVID. The binocular tubes can be easily grasped with one hand and, thanks to the short construction length, the weight is centered on the palm. The rubber armoring has outstanding grip, absorbs impacts, prevents slipping, and simultaneously lends the body of the binoculars a wonderfully comfortable feel. A patented, hardness class 8 surface coating provides additional protection for all exposed metal surfaces of the robust magnesium body. The focusing precision of Leica NOCTIVID binoculars is unrivaled by any other binoculars on the market: the newly designed focusing wheel enables tack-sharp focusing on even the smallest details and quickly overcomes even the greatest distances to bring distant subjects sharply into view. “Leica binoculars always contain our entire expertise in the areas of optical and mechanical design and construction. 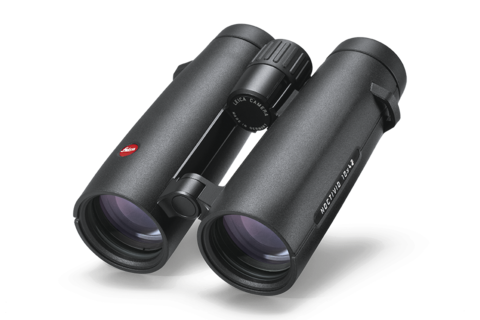 No other binoculars in their class can compete with the exceptional quality of the viewing image, the extraordinary color-neutrality and the compact design of the Leica NOCTIVID models. The combination of these – and many other innovative details – has enabled us to achieve a previously unimagined and extraordinarily three-dimensional viewing experience,” says Nanette Roland, Product Manager Leica Sport Optics. The Leica NOCTIVID models will be available from August in Leica Stores and Boutiques and from authorized Leica dealers. 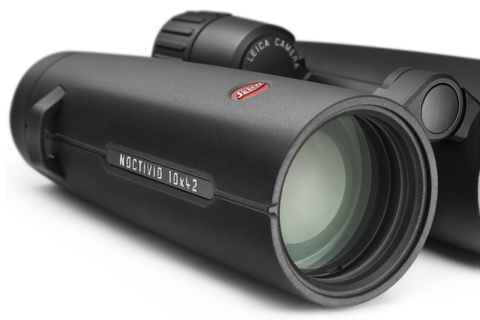 For more info about the Leica Noctivid please click here.